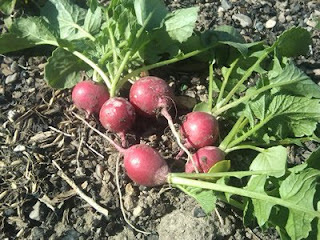 I planted the radishes on March 25. And here is the first harvest! I had two of them with my lunch today ---- yummy! Vegetables taste better when they are home grown. Seven weeks of patience.